Simple. Quick to Use. Portable. Each combination can be set and reset as many times as you want. Four-digit combination: 10,000 possible combinations! TheOneLock was designed to hold even the biggest sets of luxury car and truck keys. Internal Dimensions: Length 2.7 Inches x Width 1.6 inches x Depth 1.2 inches. Rubber sides for easy grip and scratch protection – Strong stainless steel shackle. Now get set for any adventure with the peace of mind that your keys are safe and secure! Will my key fit inside TheOneLock? TheOneLock has an internal compartment that is: Length 2.7 Inches x Width 1.6 inches x Depth 1.2 inches. Auto manufacturers release new key designs regularly, so we encourage you to measure your key prior to purchasing TheOneLock to ensure it will fit in this compartment. Is TheOneLock waterproof / weatherproof? TheOneLock is weather resistant and made from a metal alloy with stainless steel shackle. This metal alloy is designed for use in outdoor environments where corrosion and sun exposure are expected. Will TheOneLock shield my electronic proximity functions (i.e. lock/unlock) from working? 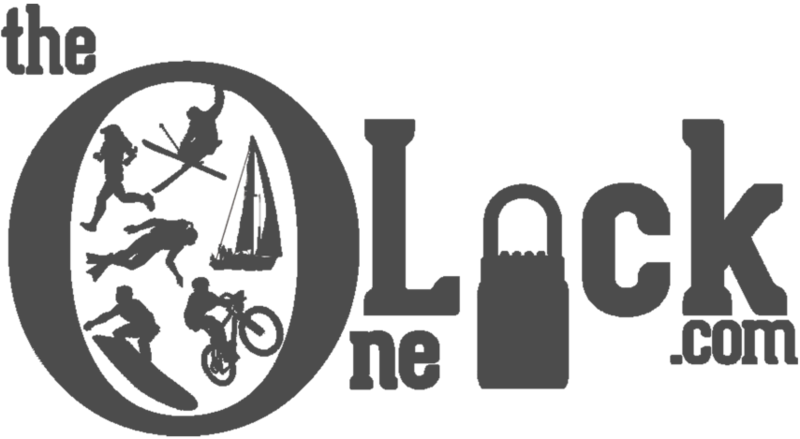 Lock TheOneLock to a location (bench, railing, bike rack, etc) that is a sufficient distance from your car so the proximity functions are disabled/not active. Alternatively, some customers have suggested wrapping the keys in aluminum foil prior to placing inside TheOneLock – we have NOT tested this suggestion and cannot guarantee this method, but have heard it may be viable for some keys. I closed/locked TheOneLock and then forgot my code; is there any way to open my lock? TheOneLock was designed to be extremely durable and virtually impossible by normal means to break into. There is no way to override the security of TheOneLock so please select a code that you won’t forget and make sure to carefully read the instructions for setting/resetting your code. A how-to video for setting/resetting your code is coming soon! TheOneLock is weather resistant and made from a metal alloy with stainless steel shackle.This metal alloy is designed for use in outdoor environments where corrosion and sun exposure are expected. After long term exposure to harsh environments (like salt spray), if you notice that your code dials are getting harder to turn, spray with water to clean and then lubricate the areas in between the dials (e.g. oil, WD-40, lubricant spray, etc). Did you know that shipping is free on every order? That means you’re getting a quality product, for a reasonable price, and can enjoy more of the activities you love. We also offer a 100% satisfaction guarantee. If you are not satisfied for any reason, just let us know. Place your order today! Join today and get access to blogs, industry news, and the latest from TheOneLock!